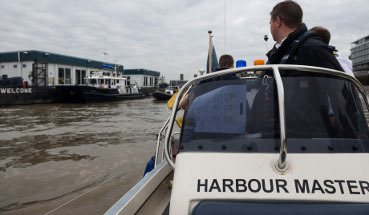 Our Upper District team is responsible for navigational safety between Teddington Lock in the west and Crossness in the east. This encompasses the busy commercial stretch of river from Putney to Crossness, which is home to commuter ferries, sight seeing boats and barges carrying building materials into the heart of the capital. Up river of Putney we oversee a river which is home to the biggest concentration of rowing clubs in the UK. 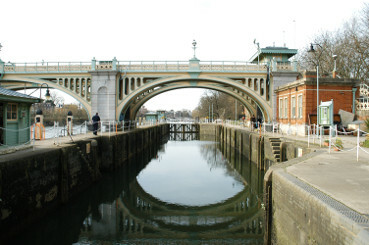 The PLA owns and operates Richmond Lock and Weir, which is also the base for the Upper River Harbour Service patrols between Putney and Teddington Lock.